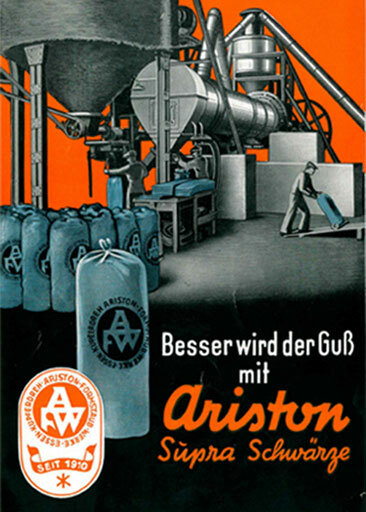 ARISTON Formstaub-Werke were founded in 1910 and had their headquarters at the former Adler colliery site in Essen-Kupferdreh. The main focus was the production of blackings for foundries. 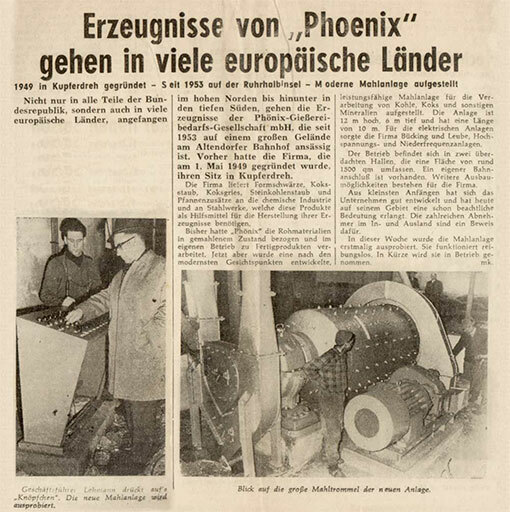 Following the merger with Phoenix-Gießerie-Bedarfsgesellschaft mbH in 1967, the company headquarters moved to Altendorf-Rohr (now Essen-Burgaltendorf). 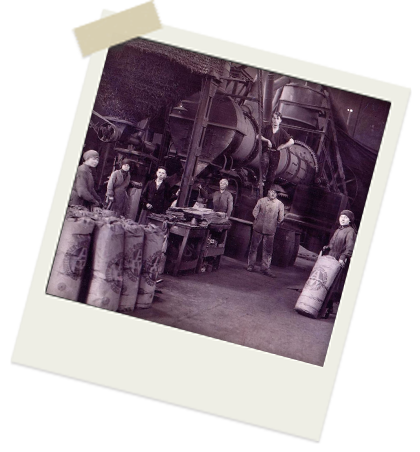 The result of the merger was a modern production company that would be able to dry and grind coke and produce mixed products in one economical process sequence. Continued investment and development efforts have helped ARISTON Formstaub-Werke grow and become a modern, reliable operation that now supplies many different products for a variety of applications to customers throughout the world. 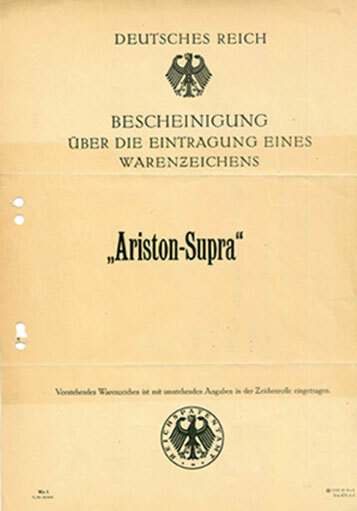 Since 1996, ARISTON Formstaub-Werke has been certified under DIN EN ISO 9001. 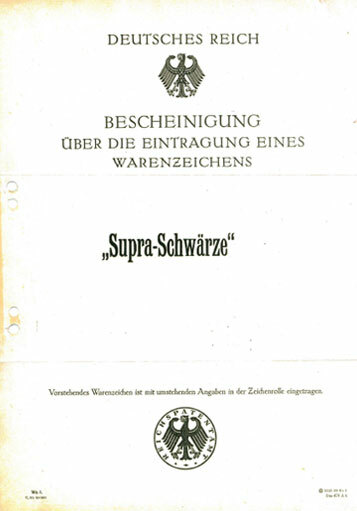 This formalised our commitment to “quality”, translating it into specific raw material, packaging and supply aspects. In 2008 we expanded our fleet to include a new truck with a tipper body and a new truck with a silo trailer. In 2010 our own weighbridge for vehicles up to 50 tonnes commenced operation. Our international approach and highest levels of productivity and flexibility ensure that ARISTON Formstaub-Werke will continue to be a skilled and reliable partner for industry in the future.